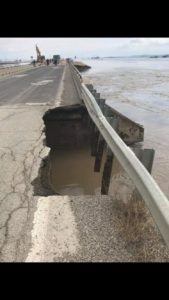 Three governors feeling the pain of major flooding recently are calling on the U.S. Army Corps of Engineers to change its management of the Missouri River. 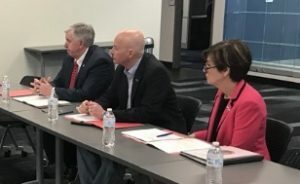 The governors of Missouri, Nebraska and Iowa met Wednesday in Iowa with Corps and Federal Emergency Management officials to talk about growing flooding problems. 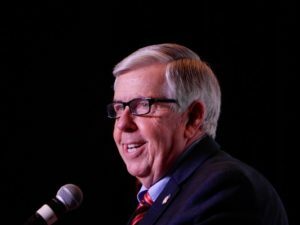 At a press conference Wednesday afternoon in Council Bluffs, Governor Mike Parson says something needs to change. “For far too long, we’ve had these incidents occur and we’ve had meeting after meeting, but it seems to be the same results all the time. I think it’s time that we need some straight up answers from the Corps of Engineers of how they’re managing the river,” says Parson. 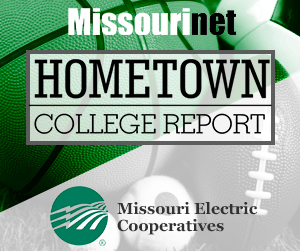 Northwest and southeast Missouri have especially been hit hard by recent flooding. 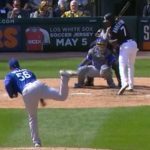 Parson has made a couple of trips to northwest Missouri to view the damage. About half of Nebraska has been devastated by flood waters. Parson, a Republican, says the management of the river is key to the citizens of each state. He says there need to be other solutions to prevent further flooding issues. Last Friday, Parson signed an executive order giving the Missouri Department of Natural Resources some flexibility in easing requirements during and after recent Missouri flooding. He says river management needs to get back to the basics by prioritizing flooding and safety. Travel problems prevented the governor of Kansas from attending the gathering, but she plans to be part of the next meeting in three weeks. 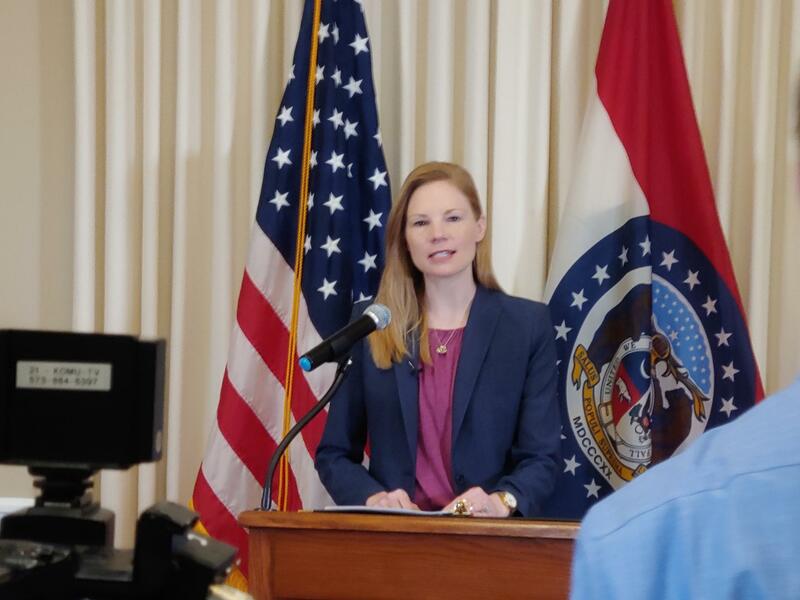 State Auditor Nicole Galloway says the Missouri Revenue Department illegally changed tax withholdings in January. She released the findings Tuesday of an audit conducted by her office. During a press conference at the state Capitol in Jefferson City, Galloway says the agency should have informed a legislative rules committee of the change. Galloway says the department’s move was made to over-withhold taxes from many Missouri taxpayers. 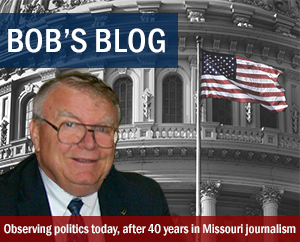 After five hearings by a bipartisan House committee on the department’s failure to communicate to the public about another tax withholding issue, Joel Walters resigned last month as Revenue Department director. Galloway, a Democrat, says Gov. Mike Parson’s administration should take responsibility for the recent tax problems. 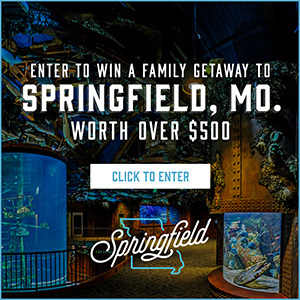 In a statement from Governor Parson, a Republican, he says his administration’s focus “has consistently been on reforming and reducing taxes for hardworking Missouri families and small businesses”. To view the auditor’s report, click here. 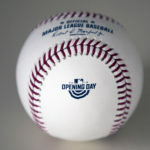 -Brent Martin contributed to this report. U.S. Senator Roy Blunt surveyed flood damage in Atchison and Holt Counties Friday and like, the governor, took aim at the way the U.S. Army Corps of Engineers manages its rivers and reservoirs. Flood damage at US 159 at Route P in Holt County near Fortescue, Missouri. 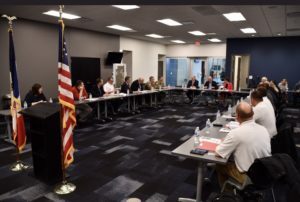 Governor Mike Parson is also outspoken about flood prevention and says he will meet with the governors of Iowa and Nebraska to ready their questions for the Corps. “What is the management of the river, what’s changed here, why are we having these floods?” he asks. John Remus, chief of Missouri River Basin Water Management for the Corps told Missourinet a week ago the current focus on the mainstem of the Missouri is flood control. “Situations where we have high runoff or an event like this, flood control is all we operate for and in fact on the mainstem dams we have done no operations for anything but flood control since March 15th of 2018,” Remus said in a press briefing. Missourinet contacted the Corps’ public affairs office for additional comment on non-disaster management and policy. We have gotten no response to date. Meanwhile, farmers and displaced residents are apprehensive. “It’s just mind-boggling to be able it in person, how much water there is and how much water has to get off of here to eventually make this land such that they can get out there and get some planting done,” says Northey, a former Iowa Secretary of Agriculture. There are 104 roads closed because of flooding. Access the entire list here. Also check the MoDOT Traveler Information Map for road closures at traveler.modot.org/map. MoDOT continues to work with Nebraska and Iowa to provide alternate routes while major roads are closed, including I-29 near Rock Port. Northbound I-29 traffic into Iowa is being detoured at I-35 in Kansas City, where travelers will continue north on I-35 into Iowa. From Des Moines, travelers will drive west on I-80 and continue onto I-680 to connect back with I-29 near the Council Bluffs/Omaha metro area in Iowa. The Missouri State Highway Patrol has additional marine operations troopers and swift-water rescue equipment in northwest Missouri. The patrol conducted three swift water rescues in Holt County over the weekend and troopers are going house-to-house in Watson, Missouri, after the levee breach on the Nishnabotna River. Governor Mike Parson urges Missourians to use caution around floodwater as Missouri River levels near cresting at major flood stage in some Missouri communities. Rain will move into the western part of the state tonight through Wednesday morning but is expected to have minimal effect on current river levels. He cautioned that despite Missouri River crests this week, flooding will remain a hazard well into the spring because of a combination of additional melting now from the north and saturated ground. According to a press release, the Missouri Emergency Management Agency assisted the city of St. Joseph with recruiting volunteers for sandbagging efforts with the coordination of AmeriCorps St. Louis, Missouri Adventist Community Services, Missouri Baptist Disaster Relief, and the Missouri Department of Corrections. Inmates from the Women’s Eastern Reception, Diagnostic & Correctional Center have been helping with sandbagging in the northeastern town of Clarksville along the Mississippi River. In Holt County, a water treatment facility is shut down operations because of flooding. The Salvation Army has provided bottled water to the area. The governor’s office warns that standing water can carry infectious diseases and hide other hazards, including road damage, glass, and sewage. Storm drains can create an extremely dangerous situation for anyone caught in the current. Avoid walking through floodwater and keep children from playing in it.